In part I of this interview we saw that the non-predictive nature of quantum physics worried many physicists, including Einstein. He developed the EPR Paradox with his colleagues Podolsky and Rosen, a thought experiment that seemed to show that quantum physics could not be a complete description of physical reality. In 1965 the Kochen-Specker Theorem (as we saw in part II) shed some light on the EPR Paradox: the properties of quantum particles cannot have fixed predetermined values before they are measured, instead the particles "decide" these values on the fly. When John Conway and Simon Kochen began discussing the Kochen-Specker Theorem they each brought a very different perspective. Kochen, a physicist, brought his in-depth knowledge of quantum physics, "whereas I didn’t understand much at all about quantum physics," says Conway. But despite this self-declared ignorance, as a mathematician Conway brought a lifelong pursuit for simplicity and beauty in his mathematics. Kochen and Specker had shown that the properties of particles, such as its squared spin in a particular direction, cannot have a fixed, definite value before it is measured. But then the EPR Paradox meant that Einstein and his colleagues discovered something very strange indeed. This effect of the EPR Paradox is known as entanglement – that quantum particles could be connected in some way so that what happens to one particle (say an experimenter measuring its momentum) immediately affects the other particle (forcing its momentum to be the negative momentum of the other particle). This concept is now a physical reality. It’s possible to put two spin 1 particles in a singleton state, that is, to put them together in such a way that their total spin is zero. "Then by conservation of momentum the total spin will always be zero," says Conway. "The component of spin in a given direction for particle a can only be −1, 1 or 0, and is the negative for particle b. So you know that the squared component spin of particles a and b are always equal. I think of these things as twins." And it doesn’t matter how far apart these particles are. An experimenter Alice could take particle a to Mars, leaving experimenter Bob on Earth with particle b. Then if both Alice on Mars and Bob on Earth happened to pick the same direction in which to measured the squared spin, this value would always be the same for both particles. Einstein was appalled by this idea, this "spooky action at a distance", and he continued to believe until his death that some larger hidden variable theory would explain how the properties of entangled particles could be correlated in this way. However John Bell discovered a theorem (at around the same time as the Kochen-Specker Theorem) that described how twinned particles could be used to experimentally test entanglement. And although we haven’t got to the point of testing this for twinned particles separated between Earth and Mars, Bell's theorem has been tested over distances of up to 18km, far enough apart to rule out any sort of light-speed exchange of information between the experiments. Kochen and Conway took this concept of entanglement as their second axiom, TWIN: Alice is experimenting on one of a twinned pair of spin 1 particles, and Bob is experimenting on the other. Then if Alice and Bob choose the same direction in which to measure the squared spin of their particles, both measurements will be the same. Our hypothetical experimenters, Alice on Mars and Bob on Earth, are playing with quantum physics. But, like Einstein, Conway and Kochen wanted to know how this quantum physics experiment would be affected by another fundamental description of the Universe: special relativity. Conway and Kochen took this consequence of the symmetric nature of relativity as their third axiom, MIN: Assume that Alice and Bob are space-like separated. Then Bob can freely choose any direction in which to measure the squared spin of particle b, and particle a’s response will be independent of this choice. Similarly Alice can freely choose any three perpendicular directions in which to measure the squared spin of particle a, and particle b’s response is independent of that choice. The first two axioms of the Free Will Theorem, SPIN (the 101 property discussed in part II) and TWIN are, in principle, experimentally testable. "MIN is the one axiom that isn’t experimentally testable," says Conway. "But it is a consequence of relativity, and everyone believes relativity. SPIN and TWIN are the weird ones. So it’s lucky that they are testable and only MIN is untestable!" These three axioms allowed Conway and Kochen to mathematically analyse a new thought experiment. Our experimenters Alice and Bob twin two spin 1 particles, Alice taking particle a to Mars and Bob staying on Earth with particle b. Then Alice, on Mars, will press a button to choose three perpendicular directions in which to measure the squared spin of particle a. And Bob, on Earth, will press a button to choose one direction in which to measure the squared spin of particle b.
Conway and Kochen then assumed that the experimenters Alice and Bob freely chose the directions involved in their own experiment, in the sense that the buttons they pushed did not depend on anything that had happened in their past (in their respective inertial coordinate frames in the language of special relativity). Mathematically, this meant that Alice’s choice was not a function of the values of any past properties of her part of the Universe, and Bob’s choice was not a function of the values of any past properties of his part of the Universe. Free will is something that philosophers have been arguing about for millennia and something that is intrinsic in our own sense of ourselves. So it’s not surprising that physicists have found Conway and Kochen’s application of this concept to particles controversial. "I know what I mean by humans having free will," says Conway, picking up one of two pens lying on the table before us. "I believe, and you don’t have to, that I just picked up this pen and it wasn’t determined at the start of the Big Bang; it’s not a function of the past history of the Universe. I think I just did that in the last few seconds and before then, there was nothing in the world that you could have analysed to tell you that I would do that." "It follows [from the Free Will Theorem] that particles have that same kind of free will. The particles will either emerge on the left- or right-hand side of a screen [depending on whether their squared spin is 1 or 0, see part II], and which a particle will do is not a predetermined function of the past." Even if you knew the entire past history of the universe (in any inertial coordinate frame) this would not contain the information about what the particles will do in the experiment. "That’s why I insisted on using this evocative language," Conway says. "Many people thought I should say the particle’s behaviour is indeterminate. But it would be really rude if I told you that you were indeterminate! It’s the same property and I don’t see why we should be required to speak of it as if it were a different property. Our theorem says that if human’s have it, then so do particles." One of the other major criticisms of the Free Will Theorem is that it mistakes randomness for free will. For many physicists the only alternative to a deterministic universe is a random one, an idea encapsulated in Einstein’s vision of God playing dice. But Conway believes that one of the major achievements of the the Free Will Theorem is that it proves that free will and randomness are very different. Does it even matter if God plays dice? "I think of it in terms of backgammon. (I’m a keen backgammon player but not a very good one.) 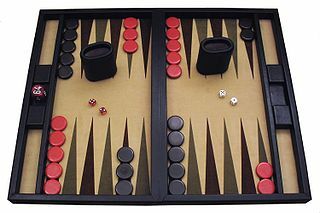 Backgammon depends on the throw of two die and when you have a backgammon tournament it is a bit unfortunate that it depends on the fortunes of dice." To make things fairer the tournament director sits up the night before throwing the dice and recording the throws. Then the next day he just reads off, "the first throw is a 3 and a 5" and carries on down his list. "Then all the tables in the tournament have the same rolls and it’s pretty clear that the fact that the throws were made the night before doesn’t affect things. From the point of view of any particular pair of people it’s the same as if the dice had just been thrown." "That’s why it doesn’t matter if God plays dice with the Universe, or not. Even if we allowed random numbers into the Universe, which I’ll think of as God’s dice, that’s not sufficient to explain the lack of pre-determinism in quantum physics." Just as for the backgammon tournament, it doesn’t matter if these random numbers were generated now or before the Universe started. "God, the tournament director, could throw all the dice that would ever be needed before he started the Universe, so they can be thought of as past history." And the Free Will Theorem explicitly says that if the experimenters have free will, then similarly the actions of the particles can’t be functions of past history, including the random throws of God’s dice. "If we have free will then the indeterminacy of the particles can’t be explained by randomness. Einstein’s statement that God plays dice with the universe, well that doesn’t matter. Einstein said that because he thought that the opposite of determinism was randomness in some way and it’s not. Randomness does not help." Although the Free Will Theorem can't prove if we have free will, it does have a fundamental consequence: if the Universe is deterministic, and a particles behaviour is always described by a function of the past, then we can’t have free will. And Conway is convinced that we do: "I can’t prove we have free will but I still believe that we do." While this and other repercussions are still being discussed by the mathematics, physics and philosophical communities, the theorem has had a profound impact on Conway himself. "It’s really affected how I look at the world. I believe that the glimmerings of freedom are in every particle – in the clouds, in everything – the particles are all taking free decisions." 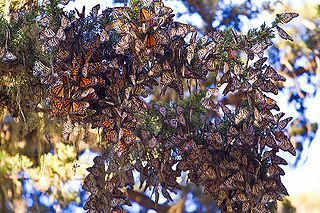 Conway likens his perception of the free will of particles to looking at the trees in California and Mexico that temporarily become home for hundreds of thousands of migrating monarch butterflies each winter. "When you see it from a distance, at a large scale, you can’t see the individual flutterings." But as you look closer it becomes a mass butterflies. "That’s what I believe this table is. If you could look at it much expanded the particles would all be fluttering, taking free decisions that don’t globally affect the thing very much." And although the Free Will Theorem can’t prove human free will exists, Conway thinks the free decisions of the particles inside us might account for our own free will. "Spin is the mystery of quantum mechancis. And I believe that spin has something to do with the mystery of life and consciousness. It’s certainly got something to do with free will." The spin of an electron combined with its electric charge means that it behaves like a little magnet. In some metals the electron spins all point in opposite directions and their magnetic fields cancel out. "But in a ferromagnetic material, the cancellation isn’t as good as it usually is," says Conway. "If the magnet is 51% of the electrons pointing one way to 49% pointing the other, although it very nearly cancels, it’s a very strong magnet." Conway believes that the free will decisions of particles in most objects, like tables and chairs, or even parts of our bodies such as our arms and legs, cancel out in a similar way to the cancellation of the magnetic fields of electrons in nonmagnetic materials. "But I think our brains evolved in a clever way. There is some special part of the brain where the cancellation isn’t so perfect as it usually is, because it’s useful for animals to have a certain amount of free will." "You must have played with magnets – they feel alive! This one is pushing that one and it’s not touching it! You put it the other way around and you can’t bring them together – they obstinately refuse to go. Well the whole world’s alive, the whole Universe is alive." Conway readily accedes that this might seem whimsical or far-fetched. "I can’t prove this nonsense, but there’s no reason to disbelieve it!" And he immediately emphasises he’s not attributing some sort of consciousness to the particles. "You mustn’t misread it, we’re not asserting these particles make decisions, we’re not saying they have any consciousness. What happens is they act, they indubitably act, and which action the particle does is free in this sense, it is not a predetermined function of the past. And that’s not the same as randomness, oh dear me no!" Conway’s picture of a universe brimming with life is particularly poignant as death also features in our discussion. Conway had a stroke in 2006 and, although fit enough to travel and lecture to packed out audiences, he still feels its effects. "In my present condition I keep thinking of death all the time, it’s a damn nuisance." But his perception of the Universe filled with the glimmerings of freedom shows that Conway still appreciates the beauty in life. And in his and Kochen's elegantly stated theorem, with their deceptively simple SPIN, TWIN and MIN axioms, and Conway's evocative statement of the theorem's result, he shows us that beauty is an integral part of mathematics as well. John Conway is the John Von Neumann Professor in Applied and Computational Mathematics and Professor of Mathematics at Princeton University. 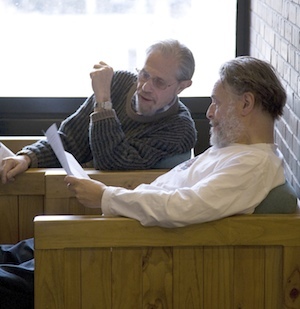 Rachel Thomas, editor of Plus, interviewed John Conway in October 2011. You can read their previous interview in the 2002 article Games, life and the Game of Life. No, particles and fundamental physical laws don't have free will. If you want to understand why something can be true at a large scale when it isn't true at small scales then you need to read up on emergence. For example 'wetness' or 'roughness' are properties that exist at a large scale but not a small scale. Basically, you have free will because each person has a personal state of their brain that isn't knowable by any other person. Therefore when they make a decision it cannot be 100% predicted by another, therefore it is said to be made by that person. Surely this over-studied question could be put to rest if someone developed a deterministic simulation in which 'animals' evolved and could be seen to make decisions of their own, for example for self-protection. This is certainly doable in Conway's game of life. What our anonymous person is showing is: he or she didn't get the point of this theorem at all. Firstly, many-worlds interpretation explains the problems of spooky action at a distance and perceived hidden variables perfectly adequately. In fact it is the most popular interpretation these days, not the misleading Copenhagen interpretation. Secondly, his hypothesis seems to be saying 'either particles and us are non-deterministic' or 'particles and us are deterministic'. This is hardly a profound statement since we are made of particles. Using the phrase free-will seems to be deliberately trying to oversell the theory as something more important than it is. Free will is a very vauge term with many different definitions, so it doesn't serve to use this language other than to sensationalise. "if Alice and Bob choose the same direction in which to measure the squared spin"
I have a problem: how would you determine that Alice and Bob have chosen the "same direction". With reference to what metric? Are you suggesting that Newton's absolute space exists at least with reference to compass bearings?